I feel very deeply honored and privileged to give the keynote address for this event, given the many impressive achievements of my peers both here on the panel and in the audience. I am grateful to Brenda King and Laura Marrast, the program coordinator at ACD, for being so proactive in making this event possible. The process of discovering one’s identity is seemingly unending. Just when you think you know who you are, or have figured out your place in the world, things change and you find yourself back at square one. Going to university is an incredibly significant event – it could be the first time that you’ve left home, it could be the first time that you’ve done your own shopping, cooking and cleaning, it could be the first time that you’ve shared a room with a stranger – and this last point is particularly important given the wide range of personalities (some wonderful, some strange) you encounter. Studying away from home is highly challenging: How do you confront a roommate that steals your belongings? How do you negotiate between your educational, social and personal needs? How do you survive in an environment where knowing who you are is crucial to selecting the right classes, friends, job opportunities and overall direction in life? First things first, don’t panic. It’s okay if you’ve had a few hiccups. Part of the great thing about going to university is that perceived mistakes can teach you important things about yourself and life in general. Understanding your identity, seeking out opportunities that refine your identity and maximizing upon the uniqueness of your identity can lead to positive outcomes throughout your university and post-university life. 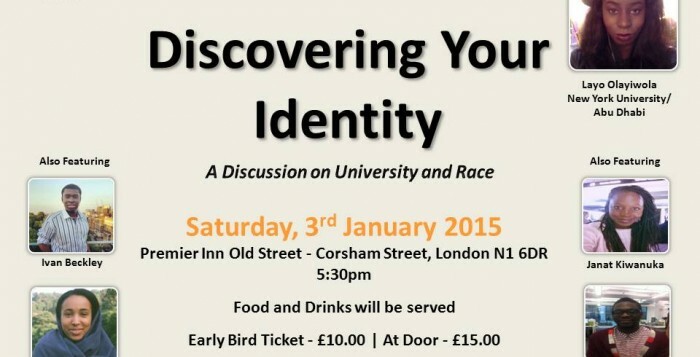 So in this address I’m going to briefly speak about the importance of knowing who you are, cultivating your identity and getting the most out of your unique self. Every now and again I have this epiphany. I stop absolutely everything that I’m doing and I embark upon a journey to discover myself. Sometimes this journey is a few minutes long, but sometimes these epiphanies evolve into epic journeys. It was one such epiphany, coupled with a cheap plane ticket that led me to spend a weekend in Istanbul. The one thing you should never do when visiting Istanbul is go alone, particularly as a female. Not knowing this crucial piece of information, I went to Istanbul alone, on a quest to discover my identity but I ended up becoming very skilled in the art of rejecting marriage proposals. We live in a dynamic world and the formation of one’s identity is a process, not a single event. A greater understanding of your identity is dependent on interactions with other people in real world contexts as this best represents the reality in which we live. There are many factors that contribute to the formation of your identity. Some of these factors are genetic, some only emerge in specific situations, whilst others require patience to perceive and understand. Thus, a weekend trip to Istanbul did not offer enough time or the right environment for the complex nature of my identity to be fully understood. Seeing as your identity is built up over time, it is important to give yourself the time and space to meditate upon what really makes you tick. When I was at school I was convinced that I was going to be a doctor, I wasn’t particularly thrilled by or interested in science, but I had this driving ambition and so I ended up a lot of taking a lot science classes. I soon reevaluated that decision in light of the fact that I actually did not enjoy taking science classes and I was rather bad at conducting experiments. I would be that person who was first to come in and set up, but last to leave, and with results that completely undermined the hypothesis. I think the only way that I did well was by writing very elaborate justifications to explain my unexpected results, and by being very strategic in selecting my lab partner. One thing that remains with me today from those science classes, is the notion of the scientific method – the idea that new knowledge of the world can be gained through experimentation and observable results. Similarly by observing the decisions that you make and your reactions to events, it is possible to construct an accurate idea of your identity. Some people choose to write journals, or blog or maintain active profiles on social media sites; the sum of all this data is really useful in understanding who you are, as well as who you project yourself to be to your family, peers and the wider public. This fuller understanding permits you to work on aspects of your identity and develop interests or characteristics that really define who you are. Sometimes this refining of self can lead you outside your comfort zone, but think of yourself as a piece of gold. Without going through an intensive purification process, it is impossible to get high quality gold. So also, without deepening your experience of the world, it is difficult to allow yourself to grow into the person that you want to be. Understanding your identity and refining that identity are processes that go on indefinitely. There is no finishing line or timestamp or expiry date by which you must have finished discovering yourself. The beauty of this whole process is that you have countless opportunities to influence the development of your unique self and get the most out of life. The formation of your identity is not a neutral process. Think of yourself like a rare gem, formed over centuries of pressure. Your identity emerges from years of decision-making and interactions with others. If you don’t take an active role in understanding yourself and seeking out opportunities that refine your identity then someone else will. Albert Camus, the influential philosopher, famously stated: man is the sum of all his decisions. Whilst that statement can feel quite oppressive, seeing as we don’t always make the best decisions, it reinforces the importance of decision-making in constructing your identity. Taking control of who you are will lead to you making informed choices that you are comfortable with. Ultimately having an identity, which feels authentic to you, will allow you to naturally flourish in whatever you pursue whilst drawing out the best in those around you. Your identity can be compared to an iceberg. Apart from being the villains of the film, The Titanic, icebergs are fascinating in that they are impossible to comprehend in a single glance. Only 10% of an iceberg lies above the surface of water, thus in order to get a fuller understanding of the nature of an iceberg, you have to dive really deep. So also, you may only be able to perceive the very tip of your identity, but by diving deep and mindfully trying to understand yourself, refine yourself and make decisions that bring out the best of yourself, it is possible to achieve more in life, live a happier life and get a fuller understanding of the unique contributions that you can make to the world. 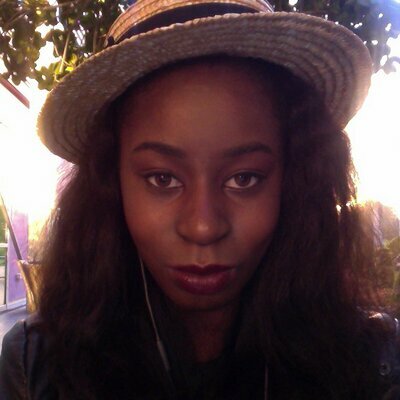 Layo Olayiwola is currently a final year student at New York University. She joined ACD in 2007 and had many fantastic experiences throughout the programme, ranging from working closely on projects with ACD's Chief Executive Brenda King, to interning at Citi and to visiting the European Parliament in Brussels in 2010. Layo has a deep passion for the arts, and dreams of opening an experimental gallery for young artists of African and Caribbean descent living and working in London. 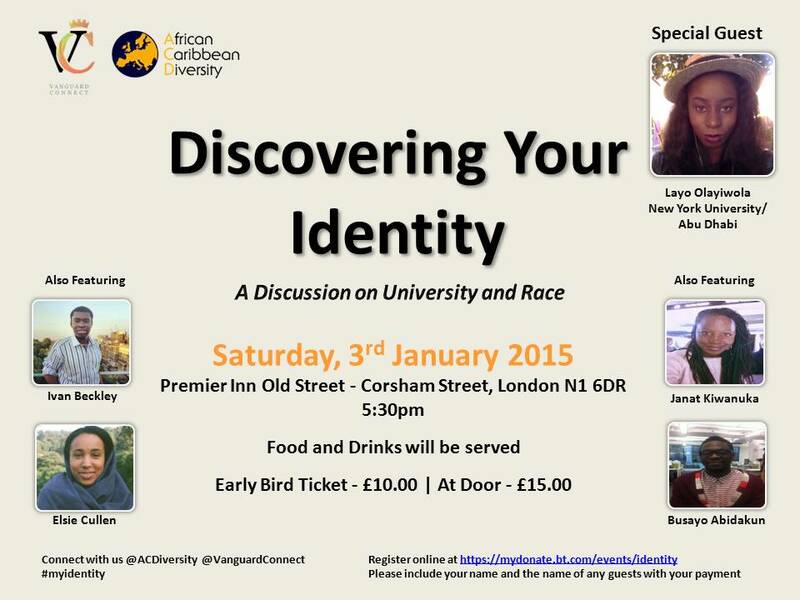 In 2015, she was the keynote speaker for ACD's first Discovering Your Identity Event.